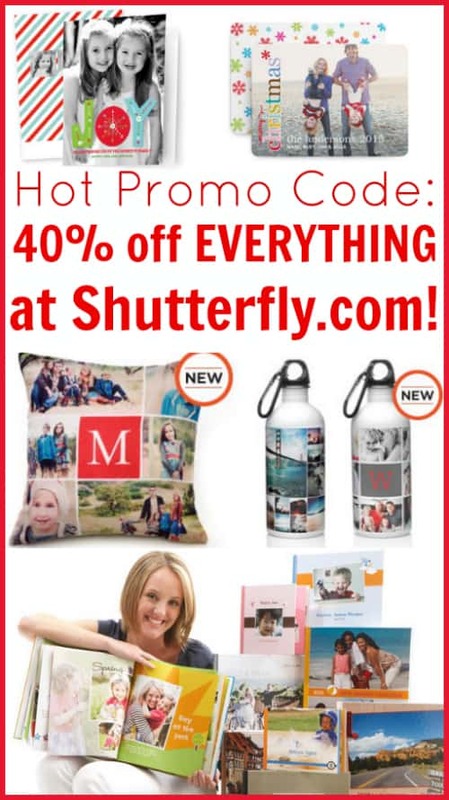 Hot Promo Code: Save 40% on EVERYTHING at Shutterfly.com! Shutterfly is offering 40% off everything on Shutterfly.com right now when you use Shutterfly.com promo code FIRSTLOOK! This offer is an excellent opportunity to order up your holiday photo cards before you get too busy with other distractions. It's also the perfect time to look through Shutterfly's customized items and think about unique holiday gifts! You can take your photos and turn them into canvases, water bottles, pillows, blankets, mugs, ornaments and so much more! Remember to use Shutterfly promo code FIRSTLOOK and you'll save 40% on your entire Shutterfly.com order! Shop now because this offer expires on 10/28/2013.